Hello everyone! How is your week so far? 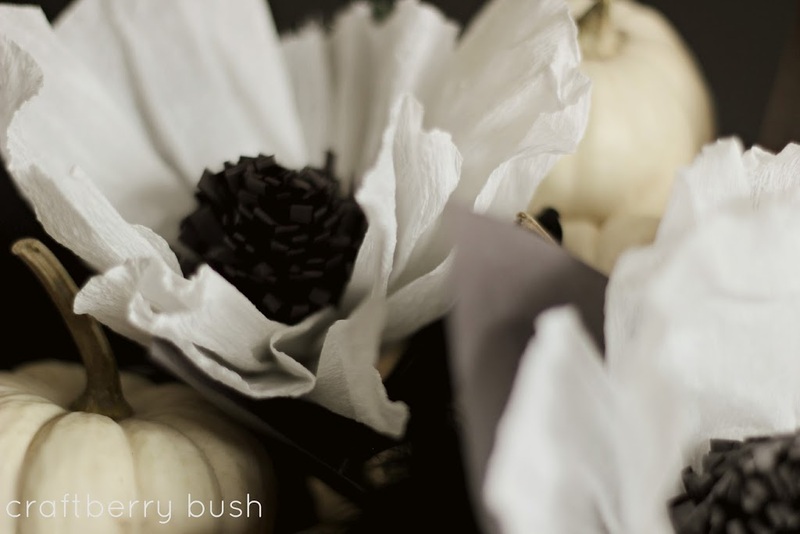 Can you believe Halloween is only a week away? And there are only 61 days until Christmas. 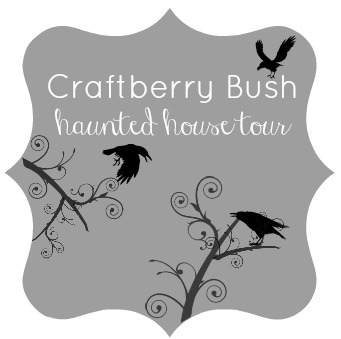 That’s exciting, but before we get too far into the next season, I wanted to take you on a mini Halloween House tour along with two amazingly talented bloggers. Kelly from Eclectically Vintage and Jennifer Rizzo. What an honour to be a ‘neighbour’ of these two ladies. 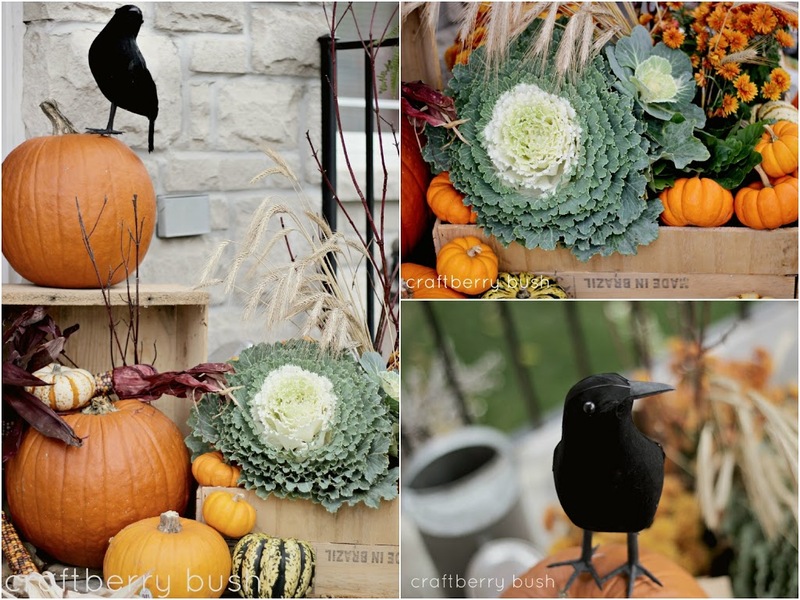 I put together a little vignette on our front porch using more traditional Halloween/fall colours. 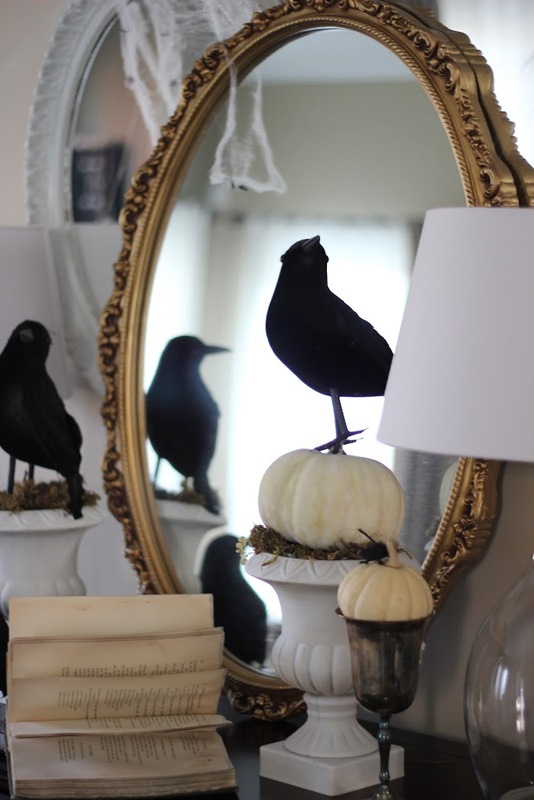 I don’t like the bloody/gory Halloween decor so I placed one of the trusty DS crows, which still represents Halloween, but in a more subtle way. crows and an old book (not of ‘spells’, but old Catholic poems). tiny little mouse standing on the baby boo pumpkin. 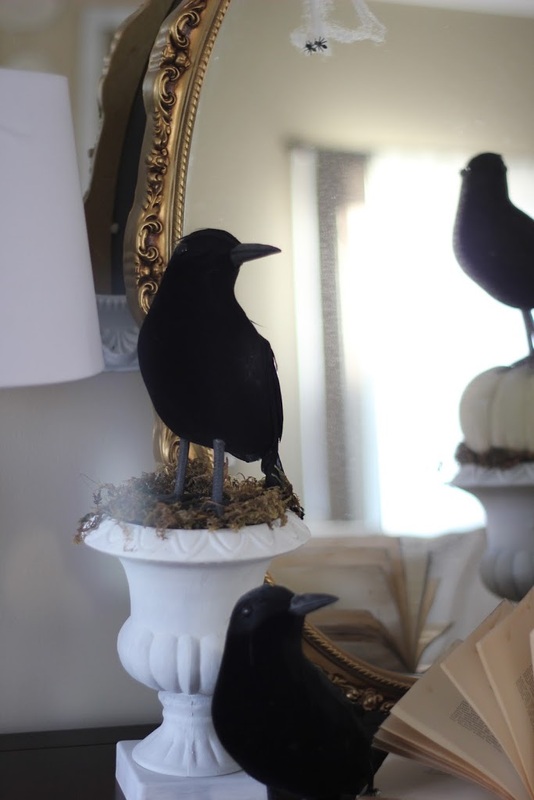 been transformed and taken over by these pesky little crows. you can see I have attached it using white sticky tack. 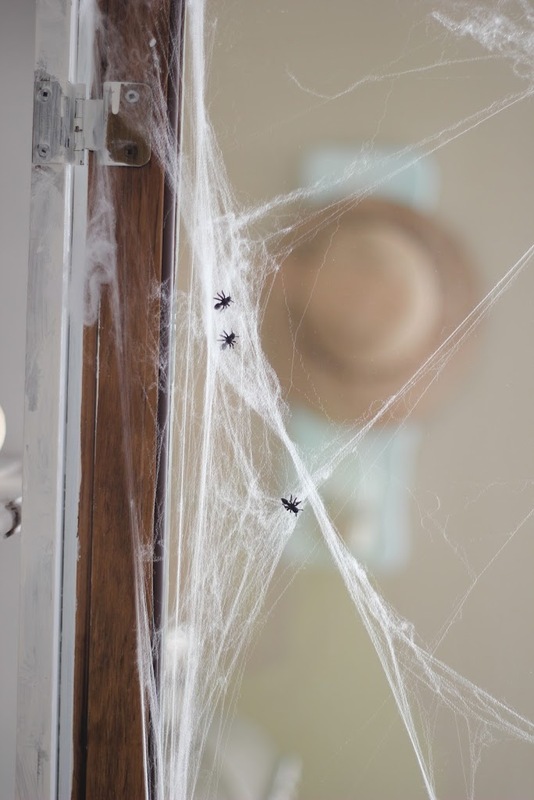 sadly for them, walked right into the spider web. You might have already seen this room. Our family room is probably one of my favourite rooms as it’s where the mantel is located and it becomes the focal point of the room as well as the primary source of inspiration for the rest of the house. 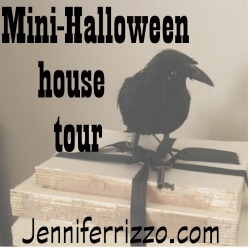 Well, that’s it for this mini Halloween house tour. 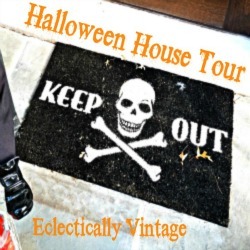 Now it’s time to head over to Kelly and Jennifer’s House for their Halloween house tour……but BEWARE!!! Click on the button to take you into each of their homes. What a fun tour! 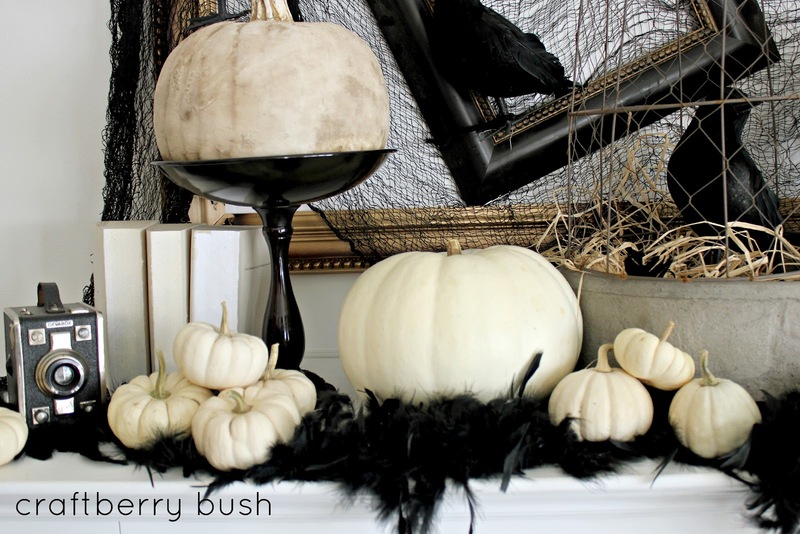 I love all your Halloween touches and your mantel is fabulous, as always! 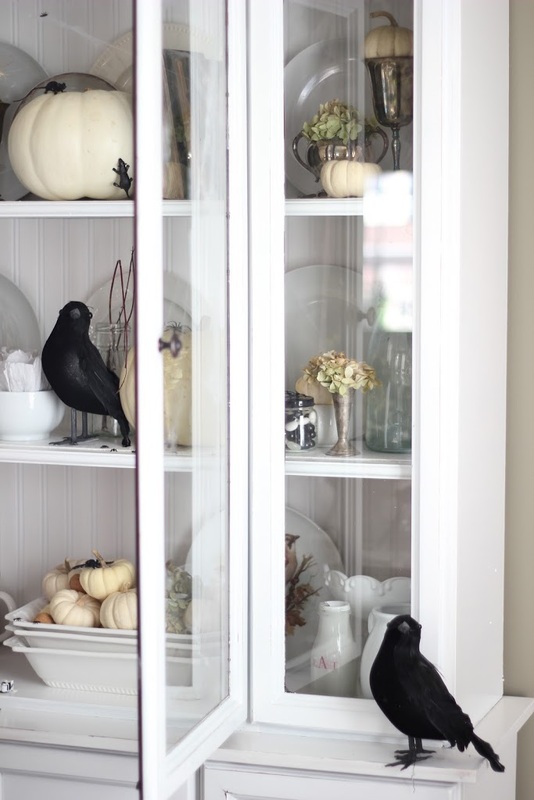 I’m in love with your black and white Halloween house! 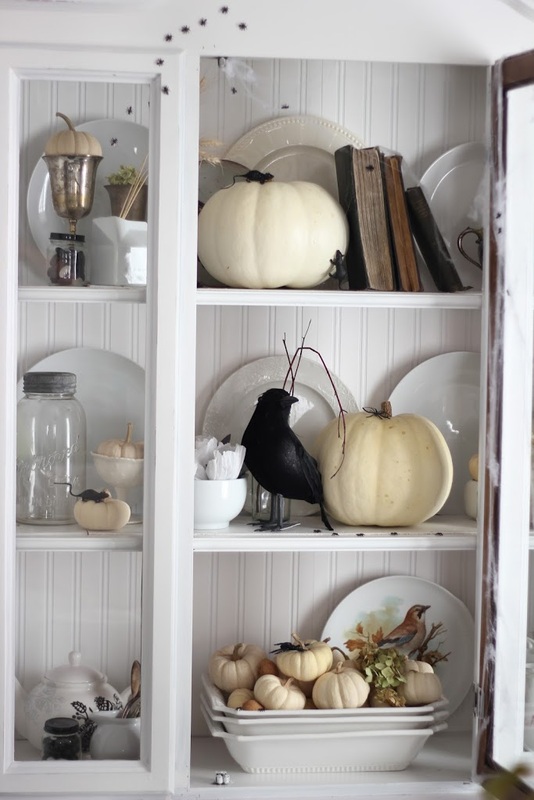 Makes me want to run out and buy dozens of white pumpkins. 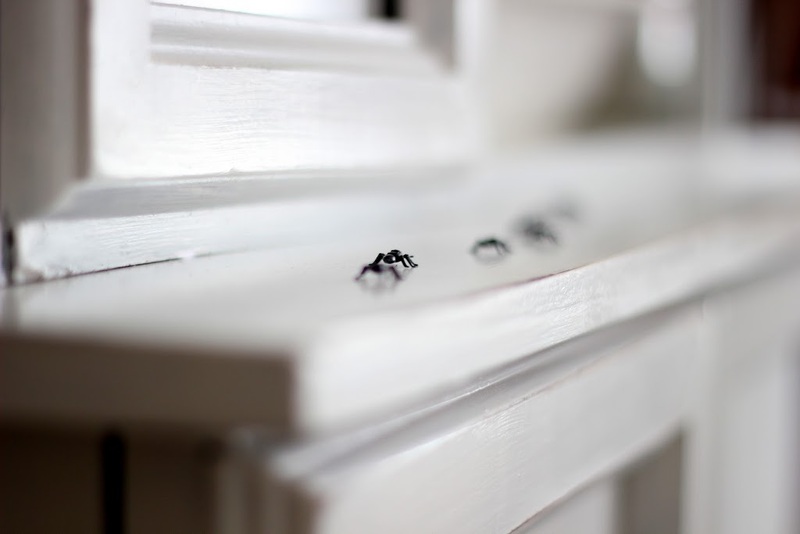 That swarm of ants is creepy (I was going to say fabulous – but can a swarm of ants really be fabulous?). 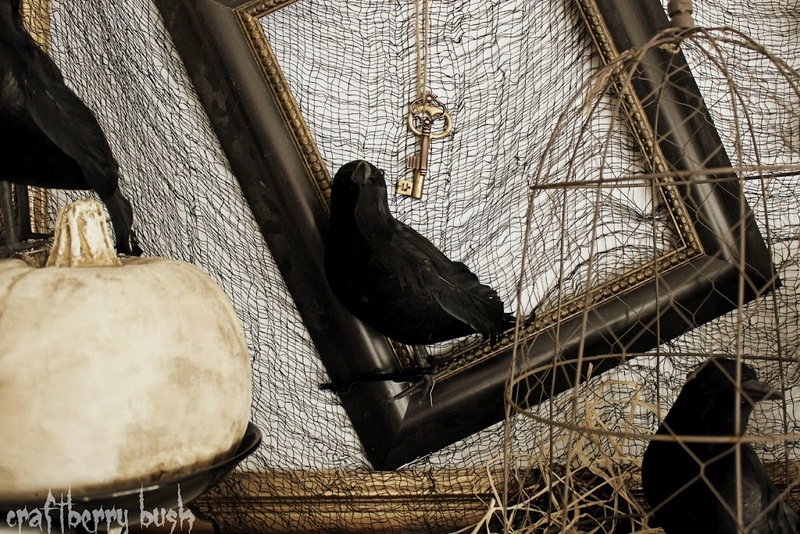 I’ll be crowing about your house to all the ghouls! Glad to be house hopping with you. Jennifer, I hope you don’t mind if I use your pictures as inspiration for next years halloween decorations. My FAVORITE is your catholic poems instead of spells. Some people do not know that halloween is all hallows eve, which is the night before all souls day. I do not like the demonic version of halloween. Awesome! 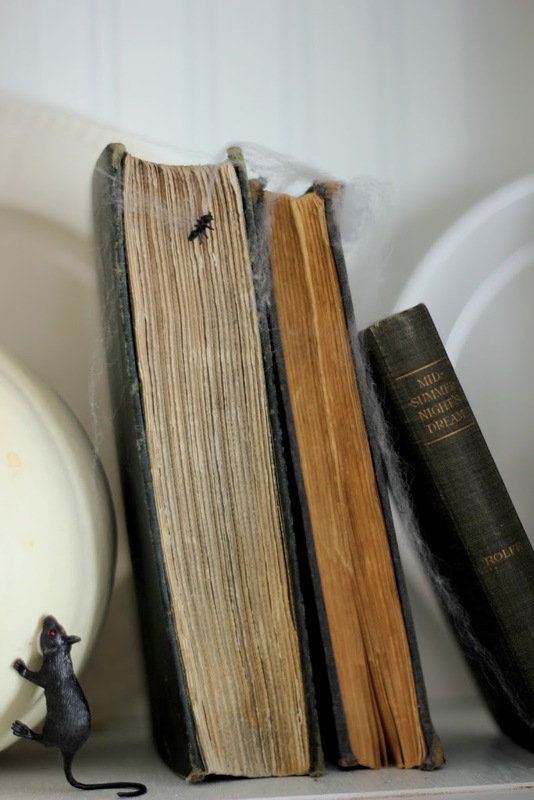 Who needs blood and gore, spiders and mice out-gross blood for Halloween in my book any day! Eeeewwww, the rats! 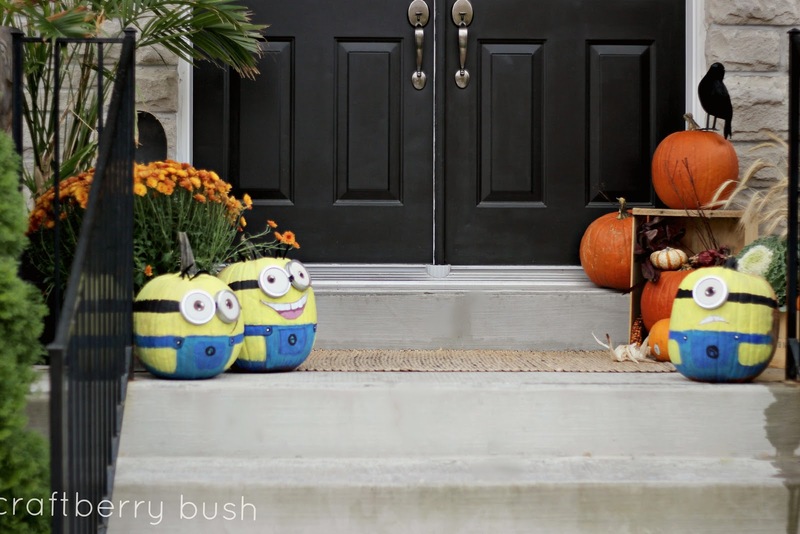 Awesome decorations, thanks for sharing. 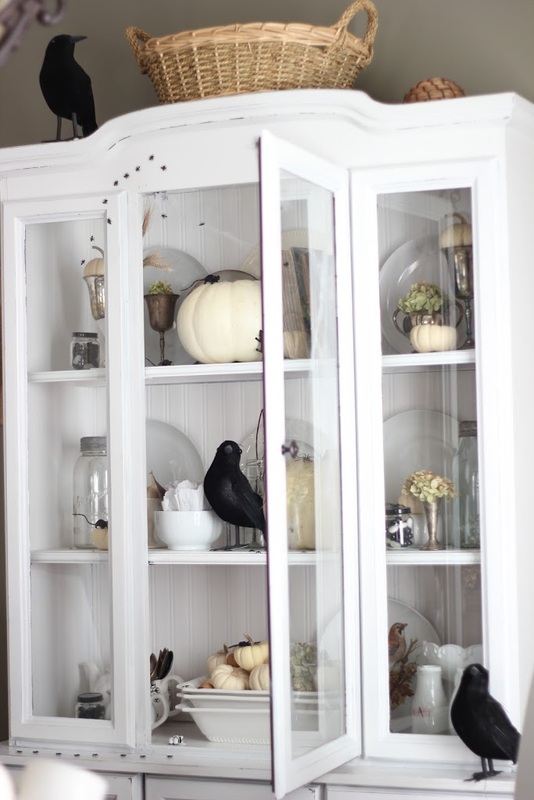 LOVE how you spookified the hutch by adding the crows, rats, & ants!! So cute!! 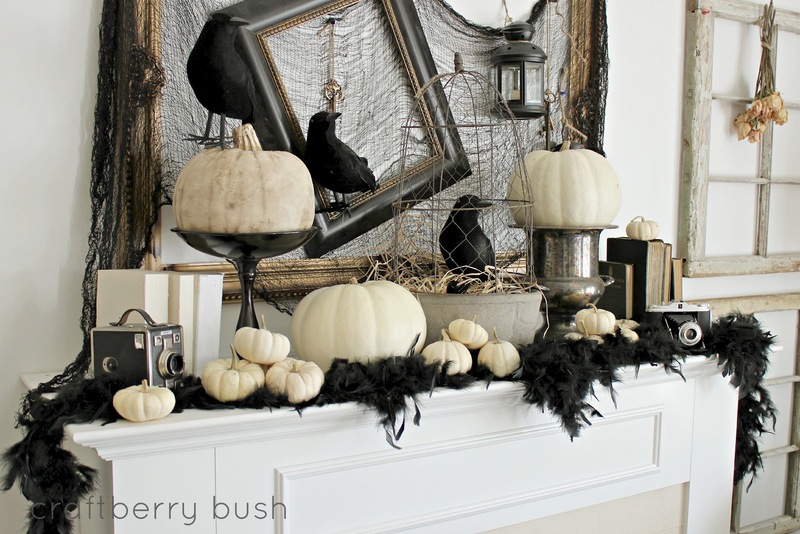 And that mantel display is just fabulous!! Have you taken it all down yet? ha ha. I laughed when you said that you decorated the mantle then took it all down. 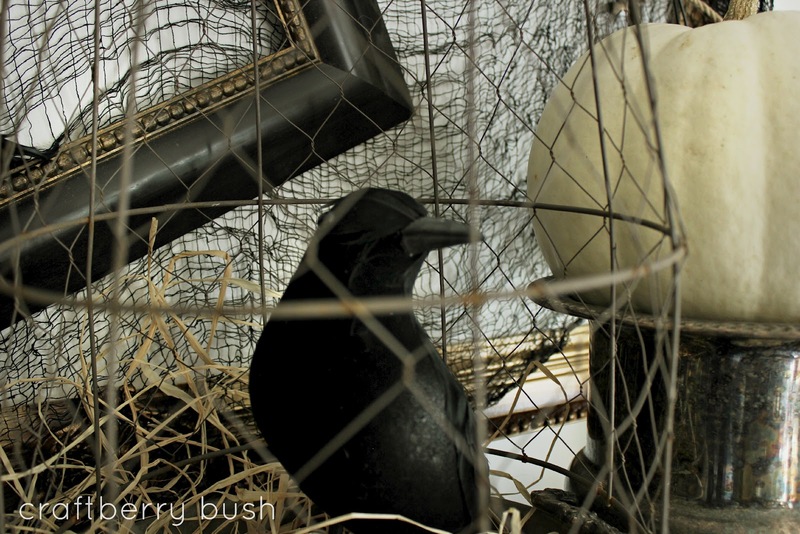 I love the hutch, it’s like a pretty scary. 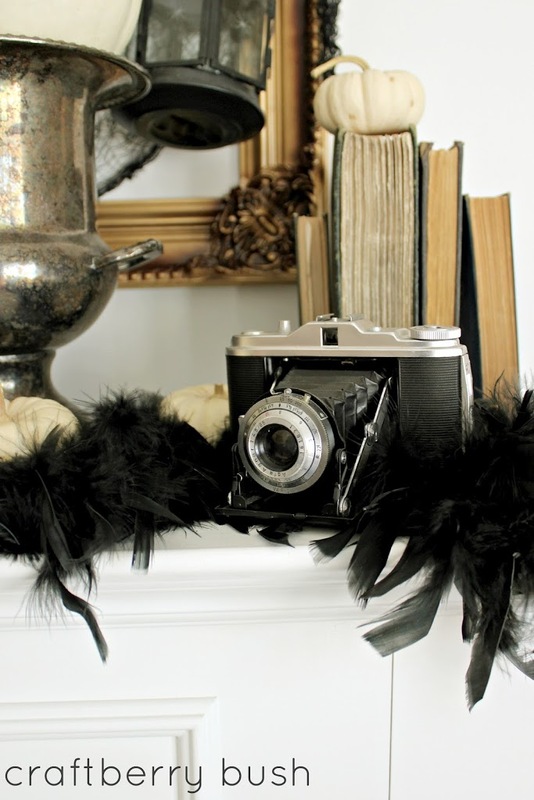 i always love what you do- your home and decorating ideas are amazing and so creative! 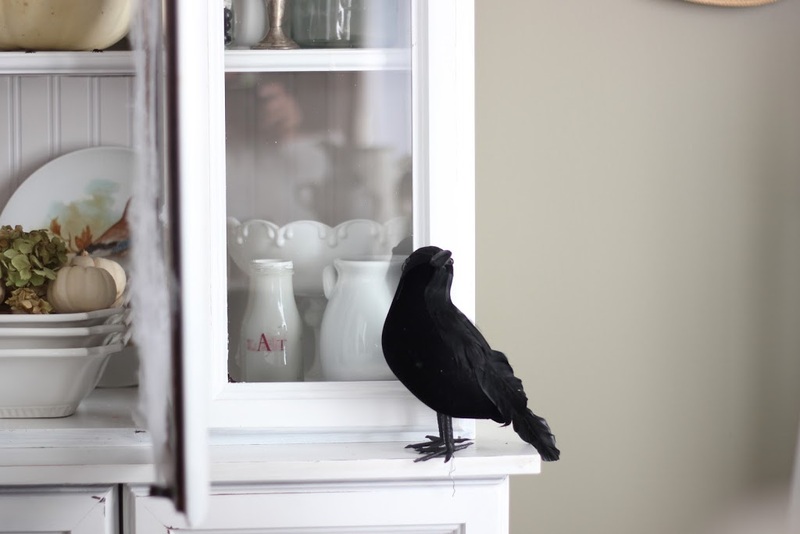 Where is the black crow sale? I needest them badly!!!! 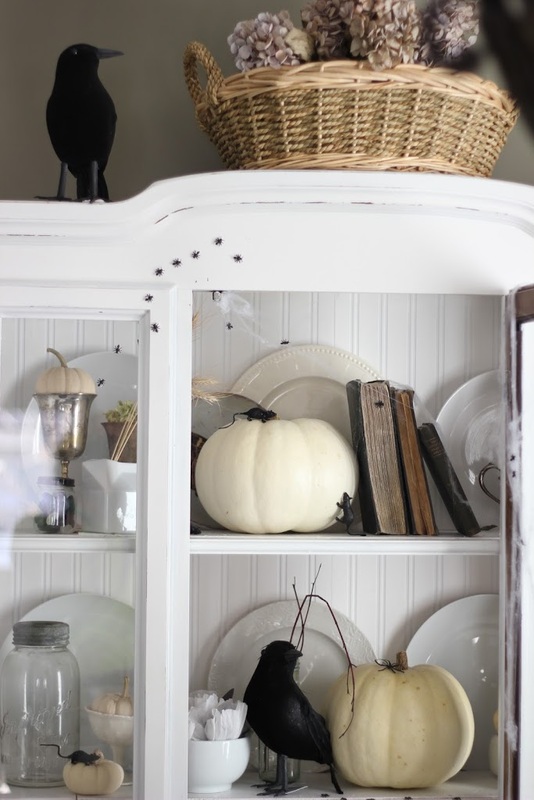 I love all of your little touches… your hutch looks adorable!!! So much fun! 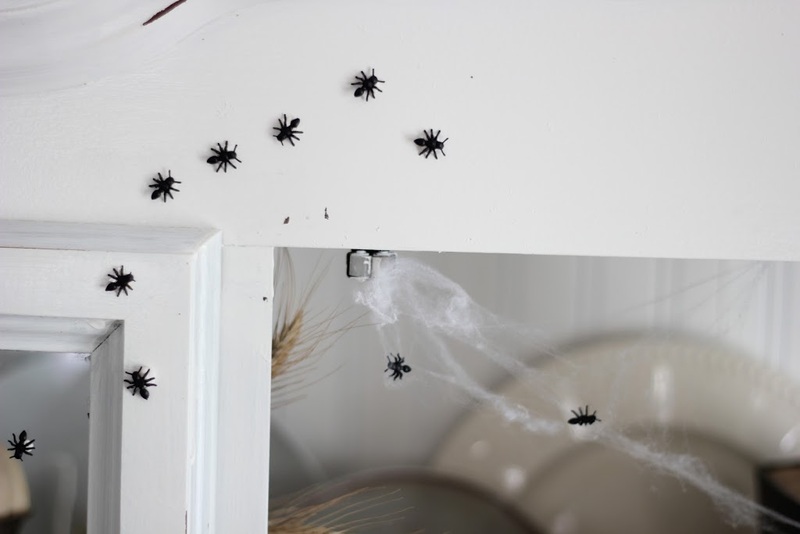 I love the little spiders and all of the black crows. 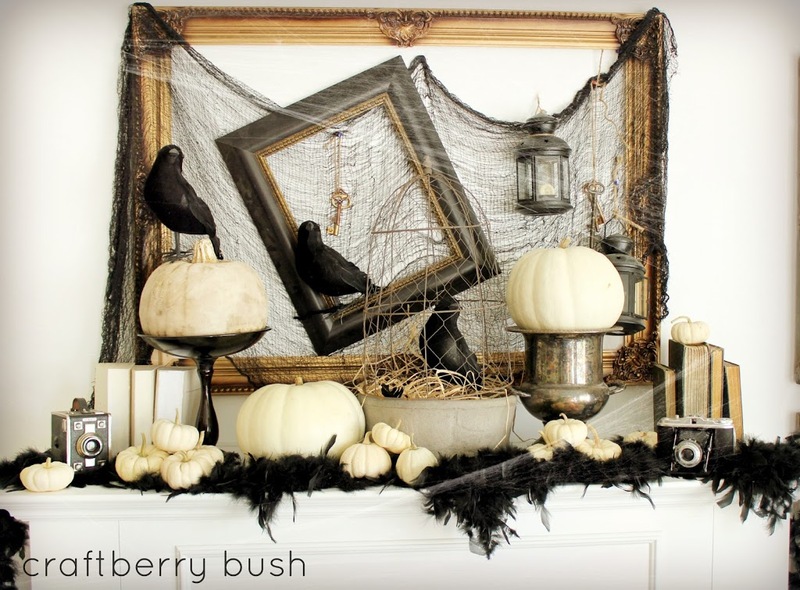 And of course your mantel is gorgeous, even for Halloween! every single little last detail is just AMAZING lu! Hugs! 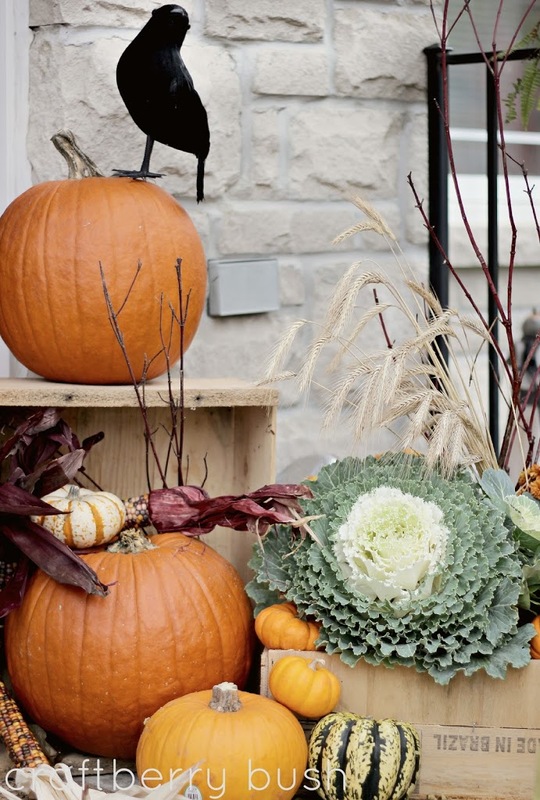 I love the black and white theme that you have and I have to say also that you added the fun pumpkins out front…. they are just the best! You are amazing! Of course, you know I adore it all. I’m glad you step out of your comfort zone this year. It’s what makes us grow as artists, after all. 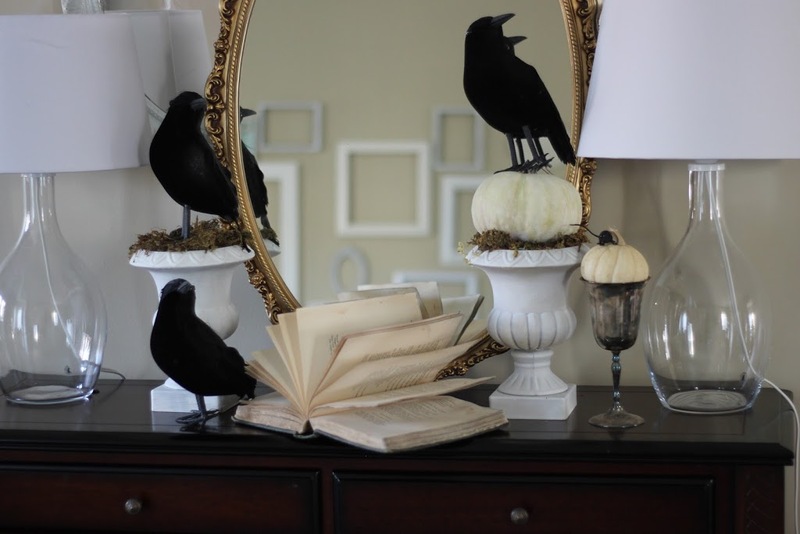 Such decorations are quite expensive yet it will really satisfy your home decors. It is still indeed a good idea to make some crafty things than buying.